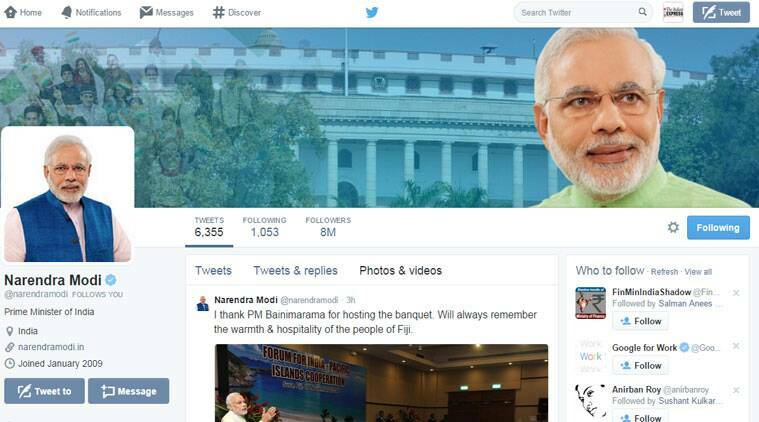 Prime Minister Narendra Modi (@narendramodi) on Wednesday crossed the 8 million follower mark on Twitter. Since his election win in May earlier this year, the Prime Minister’s Twitter account has doubled in followers adding more than 4 million followers. His election victory tweet remains the most retweeted tweet of all time from India with 70,586 tweets. However, US President Barack Obama and Pope Francis still remain ahead of PM Modi as most followed political or religious leaders globally with over 43 million and 14 million followers respectively.